Principal’s Note – I hope everyone had a restful and enjoyable winter break. With the inclement weather days and the 2 weeks off, it seems so long ago that we just finishing up Thanksgiving Break, but we are back at it and we’re excited to have your students back here at school. At this time, the PPS School Board has added 2 days to the end of the school year. This means that the 8th grade promotion is now on Monday, June 12th and the last day of school for students is on Tuesday, June 13th. The board will be meeting next week to decide if they will add the remaining 2 days or not. Once we hear, we will let you know. Informational meetings are coming up soon for prospective students for the 2017-18 school year. The meetings are Feb. 8 @ 5:30 pm, Feb. 15 @ 3:30 pm, and March 1 @ 5:30 pm. If you have siblings you plan to enroll for next year, you do not need to come to the informational meetings. However, you do need to complete a Statement of Understanding (these will be available in the office starting on Feb. 8) and you need to complete the Enrollment and Transfer Lottery Application (this will be available online on Feb. 8). 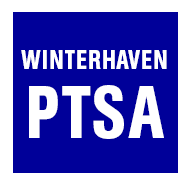 To receive sibling preference, you need to have a child currently attending Winterhaven this year who will be also attending next year. If you have questions, please check with the main office. Last but not least – as we are an outdoor recess school, be sure to send your child to school with the appropriate attire to brave the outdoors. With the cold weather, we want to make sure students can go outside for exercise but also be safe for the elements. I also want to thank our families for their wonderful donations to our school and staff during the holidays. We truly appreciate all you do for Winterhaven and we enjoy working with your children each and every day.